One of my main goals for 2018 is to focus more on myself. As a mom, that feels selfish to me, but I know that if I neglect myself then it just makes my job even harder. I'll be starting college, focusing on getting my bachelor's degree, and juggling family life as well so it's important for me to take the time to make sure my health and stress levels stay in check. To help me do that, and to help 10 of you do the same, I've partnered with Remarkable365 to offer a month supply of their Full Life Formula dietary supplement in the 3rd Annual Jeepers! 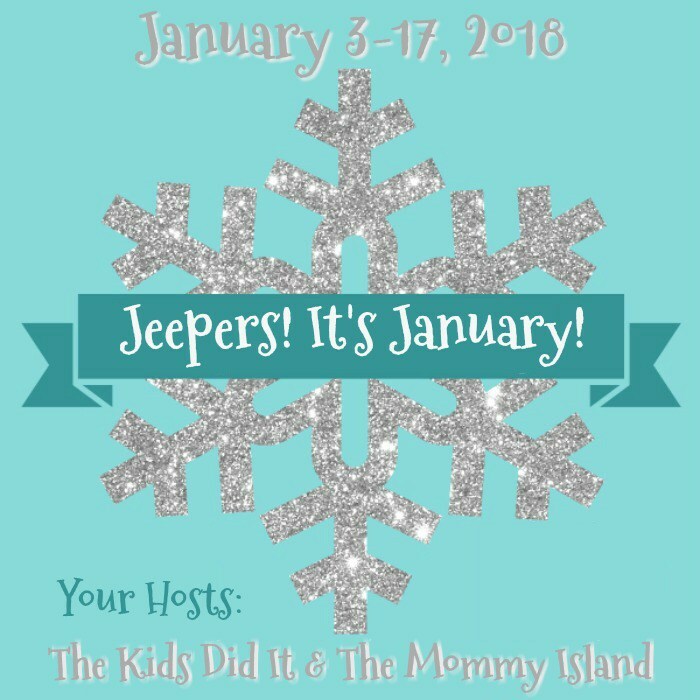 It's January Giveaway Hop, hosted by The Kids Did It and The Mommy Island. Check out the information about the product below, and enter to win. Then, hop to as many giveaways you want to in the linky below! What makes Remarkable365 Full Life Formula so great? 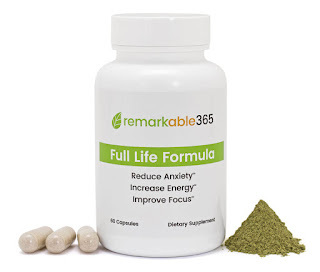 Full Life Formula provides five sources of all natural ingredients with benefits ranging from reduced stress, improved focus and overall cognitive function, plus increased energy. These natural whole plant ingredients work in harmony with your body to enhance its functions and balance. A powerful adaptogen that helps to combat stress and boost energy. It’s a plant native to India, North Africa, and the Middle East. It’s also an antioxidant that helps fight free radicals. It’s a popular Ayurvedic herb that has been used for thousands of years to reduce anxiety, reduce brain cell degeneration, and boost immunity. A powerful adaptogen used in Ayurvedic medicine to support focus, learning, attention, and memory. It’s a plant native to India that helps the mind and body adapt to stress. A wonderful antioxidant that increases mental clarity and energy levels. It’s a berry native to China and parts of Russia, traditionally used in Chinese Medicine (TCM) for thousands of years to help with adrenal functions, fatigue, fighting free radicals within the body and reducing inflammation. Assists the body and mind in dealing with the effects of stress. Helps relieve stress by inducing a relaxing effect without drowsiness. It’s native to Eastern Asia, mostly found in green and black teas. Promotes alpha waves, which leads to a relaxed alertness. Decreases anxiety by increasing levels of dopamine and GABA in the brain. A mushroom with many health benefits ranging from brain, gut and immune system functions. Improves brain function, immune system function, nerve regeneration and increased Nerve Growth Factor (NGF). An antioxidant with anti-inflammatory properties. Reduces anxiety and feelings of irritation while enhancing concentration. †These statements have not been evaluated by the Food and Drug Administration. This product is not intended to diagnose, treat, cure or prevent any disease. If you are pregnant, nursing, taking medication, or have a medical condition, consult your physician before using this product. So what are you waiting for? Enter below to be one of 10 winners to get a one-month supply of Remarkable365 Full Life Formula. Giveaway open to the US only and ends January 17th. See full rules on Gleam form. Don't forget to "hop" around to all the other giveaways!